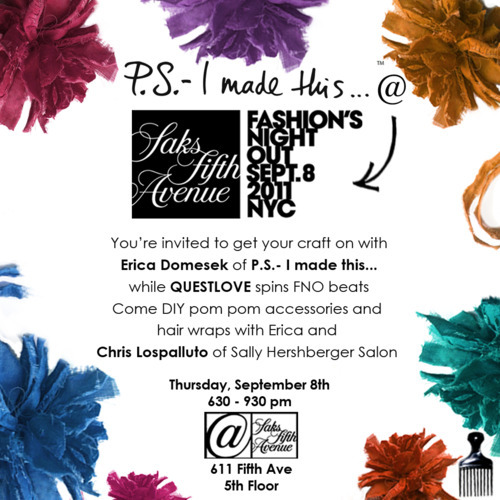 fashion night out promises tons of crowded parties all over NYC tomorrow night. some are snootier than others..but, if you love DIY and fashion, this is the one for you..plus, Questlove is spinning. who can ask for more! ?